Friday, December 21 is the Winter Solstice, the longest night of the year in the northern hemisphere. In southern Manitoba that means 16 hours of darkness, from sunset to sunrise on the 22nd. Our dear friend Ashleigh was recently diagnosed with Stage IV cancer, bringing a season of darkness to her, her husband Jordan and their four kiddos, and their family and friends. Ashleigh has been blogging about their journey, read more here. 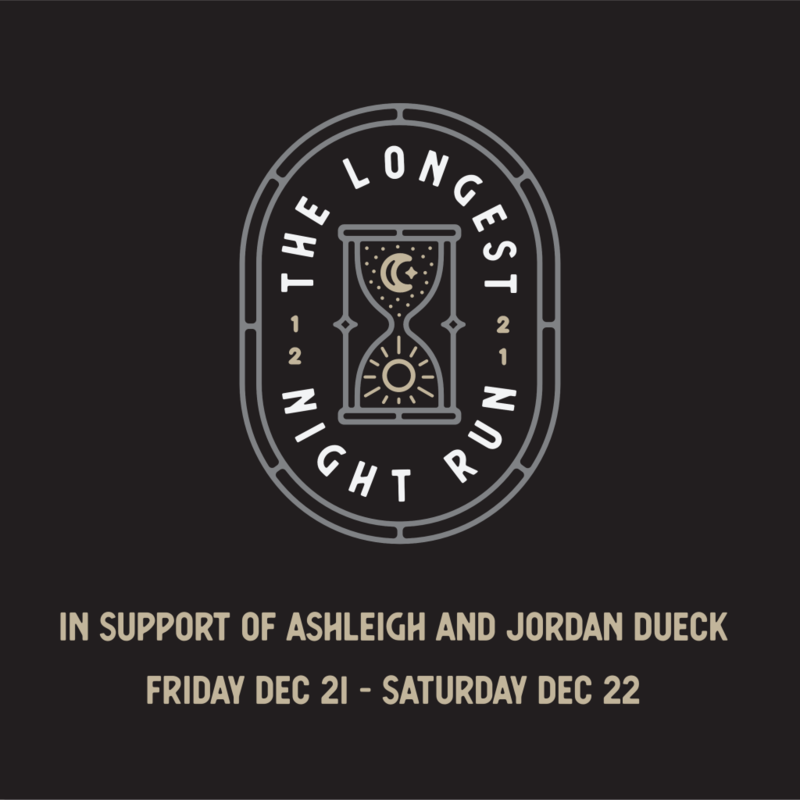 On Friday, Dec 21, we will join Ashleigh and Jordan and their family symbolically by running through the darkness. For 16 hours, in half-hour shifts, we will pound the pavement, embrace the cold, and support our friends.